Q: What does the law of Trinidad and Tobago say about hangings? A: We all know that after the most famous hangings in Trinidad and Tobago, which involved Nankissoon Boodram (Dole Chadee) and his 8 henchmen, the hanging of Anthony Briggs was the last the country has seen. Why? The main reason is a plethora of Human Rights Laws. Chronology of Death Penalty laws in Trinidad and Tobago. 1. The Bill of Rights 1688 expressly prohibits any "cruel and unusual punishment". "(1) Every warrant for the execution of any prisoner under sentence of death shall be under the hand and Seal of the President, and shall be directed to the Marshal, and shall be carried into execution by such Marshal or his assistant at such time and place as mentioned in the warrant; and the warrant shall be in the form set out as Form A in the Second Schedule ..."
Form A expressly recites that the person involved has been sentenced to be: "hanged by the neck until he be dead". The President of the Republic in signing the warrant authorises the execution in that manner. "Nothing in sections 4 and 5 shall invalidate – (a) an existing law …". An existing law is a law that was implemented before the Constitution. While the Bill of Rights 1688 pre-dates the laws in #2, it must be read with subsequent legislation and common law. However, this is still not the case because the Privy Council members' personal beliefs still interfere with their decision making. The ruling in Thomas v Baptiste  1 AC 1 confirmed that there could not be execution of prisoners with pending petitions before international bodies. However, this was immediately repealed by the Constitution (Amendment) (No. 3) Bill 2000. This means that even if a convicted criminal has applied to the Privy Council, they could be hanged during the waiting period, but it is yet to be followed. Essentially, the Privy Council should not have as much power as they do when it comes to capital punishment in Trinidad and Tobago, especially with the Caribbean Court of Justice (CCJ) in place, but with politics being more important than what's best for the country, we have yet to see the Constitutional Reform to permanently remove the Privy Council. Some CCJ judges even think it's insulting to continue using the Privy Council, disregarding the role of the CCJ. When the Government (PNM) attempted to enact a new Constitution, the Opposition (UNC) refused to agree to the changes until it changed the system of voting (proportional representation). The new Government (UNC/PP) is trying to do the same thing, and I hope the Opposition (PNM) would forget politics and do the right thing for the country. Hang them in Woodford Square! Baroness Margaret Thatcher, who became Britain's first female Prime Minister in 1979, said, "I personally have always voted for the death penalty because I believe that people who go out prepared to take the lives of other people forfeit their own right to live. 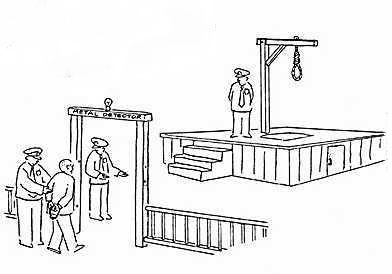 I believe that the death penalty should be used only very rarely, but I believe that no-one should go out certain that no matter how cruel, how vicious, how hideous their murder, they themselves will not suffer the death penalty." I like this quote because she expresses my views exactly. The Death Penalty, in any form, is necessary, but only in cases where the truth is undeniable and the crime is diabolical, such as the murderers who did this. Also see this. The Trinidad and Tobago Humanist Association (TTHA), along with many other organisations around the world have done research to conclude that there is no country in the world where the death penalty has been proven to reduce crime. Although this is true, why should statistics in other countries influence our decision? Let's hope that hangings in Trinidad and Tobago resume very soon. Q: What are the steps to getting a divorce in Trinidad and Tobago? A: The law under the Matrimonial Proceedings and Property Act Chap 45:51. 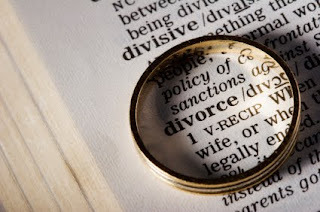 Section 5(1) - a divorce petition cannot be presented until one year of marriage has passed, unless there are extreme circumstances. Section 3 - the marriage must be at a stage where reconciliation is impossible. (e) that the parties to the marriage have lived apart for a continuous period of at least five years immediately preceding the presentation of the petition. Section 24(1) - A spouse may be entitled to maintenance especially when the other decides to leave his/her partner in a position that may impose a burden on society (benefits, etc.) i.e., disability or children. Most recent case at the time of posting: Ann-Marie Ramdhan v Peter Ramcharan, delivered on 22/06/2010. If one spouse is overseas, Sections 62 - 62H lays down the law in that regard. Q: What happens when someone dies without leaving a Will? A: A person dies intestate when he/she does not leave a Will or leaves a Will that is later found to be invalid. The rules of Intestacy in Trinidad and Tobago are governed by the Administration of Estates Act, Sections 23 - 31 and The Distribution of Estates Act, 2000. The estate (all possessions of the deceased) is divided according to the rules of Intestacy. Only married or civil partners and some other close relatives can inherit under the rules of intestacy. •whether there are children, grandchildren or great grandchildren. 23. An estate or interest to which a deceased person was entitled on his death in respect of which he dies intestate shall, after all payment of debts, duties, and expenses be distributed or held on trust amongst the same persons being kin or next of kin in accordance with sections 24, 25, 26 and 26A. A married/civil partner may inherit under the rules of intestacy only if they are actually married or in a civil partnership at the time of death. So if you are divorced or if your civil partnership has been legally ended, you cannot inherit under the rules of intestacy. However, partners who separated informally can still inherit under the rules of intestacy. 24. (1) Where an intestate dies leaving a surviving spouse but no issue, his estate shall be distributed to or held on trust for the surviving spouse absolutely. (3) Where an intestate dies leaving a spouse and one child, the surviving spouse shall take one-half of the estate absolutely and the other half shall be distributed to or held on trust for the child. (4) Where the intestate dies leaving a spouse and more than one child, the surviving spouse shall take one-half the estate absolutely and the remaining one-half shall be distributed to or held on trust for the children. 25. (1) Notwithstanding section 24, where an intestate dies leaving no surviving spouse, but dies leaving a surviving cohabitant, the cohabitant shall be treated for the purposes of this Act as if he or she were a surviving spouse of the intestate. (2) Notwithstanding section 24, where an intestate dies leaving a spouse and a cohabitant and the intestate and his spouse were at the time of his death living separate and apart from one another, only such part of the estate as was acquired during the period of cohabitation shall be distributed to the cohabitant, subject to the rights of a surviving spouse and any issue of the intestate. (3) A surviving cohabitant claiming a share of the estate of an intestate under this section shall, within twenty-eight days of the death of the intestate, file with the Registrar of the Supreme Court a notification of interest as the surviving cohabitant and, within three months thereafter or such other time as the Court considers appropriate having regard to all the circumstances, obtain an order from the Court affirming the cohabitational relationship with the intestate and stating the quantum of the share of the estate to which the cohabitant is entitled. (4) The Rules Committee shall make Rules for matters arising under this section. If no one else; Parents. 26. Where an intestate leaves no spouse, no cohabitant or no issue, the estate goes to the parents of the intestate in equal shares or the survivor of them. (f) where there is no issue of the brothers and sisters of the half blood to the uncles and aunts of the intestate, being brothers and sisters of the whole blood and then of the half blood of a parent of the intestate. 26B. Descendants and relatives of the intestate, conceived before his death but born afterwards, inherit as if they had been born in his lifetime and had survived him. The State will then follow the procedures set out on Sections 27 - 31. 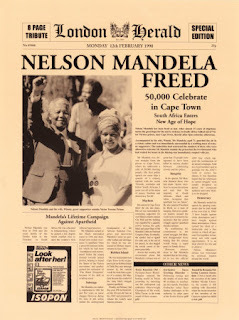 Happy Birthday Nelson Rolihlahla Mandela! 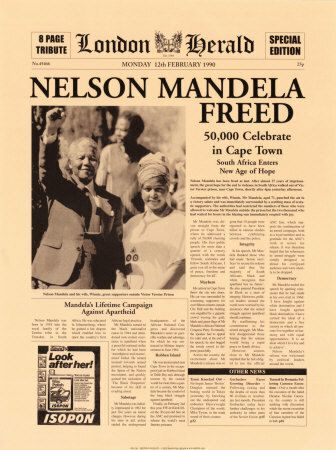 In my opinion, Nelson Mandela, also a Lawyer and the last of his kind- the other two being Martin Luther King Jr. and Mahatma Gandhi- deserves a spot in this blog for all his achievments to date and living to the coveted age of 92! What bad thing can you say about a man who was imprisoned by white people for 27 years because of his fight against segregation and came out without malice to preach love? Q: (a)My landlord increased the rent by two hundred dollars monthly indicating that the electricity bill went up, no comparison was provided to verify such. For almost a year two lights were not functioning in the apt, for some months cable was not working and the ac unit also was not functional. (b)Even though, messages were left regarding complaints and nothing was done until long after, there was a delay in providing funds for rent. (c)Now I am given less than a week to vacate the apartment, what, if any redress is possible? A: (a)Although the Rent Assessment Board was not functional for some time, they are here to assist you with these problems. However, the Rent Assessment Board only offers protection to registered Landlords and Tenants. When your rent was raised, you should've (or maybe still can according to how long ago this was) taken your case to the Board. According to the cases of; Ruiz v Lazar (1984), Martin v Boodhan (1984) and Chandler v Alexis (1986), failure to register within the time frame specified in s.11, you would be unable to rely on any provisions in the Rent Restriction Act. This simply means that you would be unable to recover the rent that you saw as unfair. (b)This sentence is a bit unclear. Elucidate and I will update the post. (c) What kind of tenancy did you have? Weekly or Monthly? Your type of tenancy will determine how valid your Notice to Quit is. E-mail me ASAP so I could assist you as quickly as possible.